Treasurer Scott Morrison has shed light on further exemptions to the $500,000 lifetime cap on non-concessional contributions announced in this year’s federal budget. It comes amid speculation in recent weeks that major life events would be exempt from the proposed cap. The government has already confirmed personal injury payouts will be exempt from the cap. 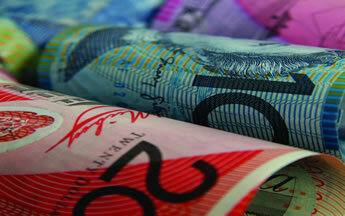 These payouts are often in the order of millions and are commonly contributed to taxpayers’ superannuation funds. “We have taken a very conscious decision to exempt structured settlements and court orders for personal injury payments from both the $1.6 million transfer cap and with the lifetime [$500,000] non-concessional cap,” then-assistant treasurer Kelly O’Dwyer said. Fairfax Media has reported that the treasurer yesterday said divorce settlements would be an “appropriate exemption” to the cap. Mr Morrison also labelled as “ridiculous” the argument that this would create a perverse incentive for people to leave their partners.